Tour Operators in Madurai is one of the leading travel agencies in Madurai, South India for the past few years. Tour Operators in Madurai arranged total tour package those holiday, pilgrimage, educational tour packages etc. All kind of A/C & Non A/C tourist vehicles are available here. We undertake all the tour packages at reasonable price. Tour Operators in Madurai providing quality services and fulfilled experience to our customers. We are a professionally managed Tours and Travel Agency in Madurai. Tour Operators in Madurai is the fast growing tour operators, travel agency, tour packages, and car rental services in Madurai, Tamilnadu, India. Tour Operators in Madurai is providing best and attractive price to our customers compared to all other tour Operators in and around Madurai. We maintain our entire vehicles in excellent and in a very good condition while travelling in road and in terrain we take at most care of your travel to be enjoyable and memorable one. Tour Operators Madurai is a reputed tours and travel agency in Tamilnadu, India. We provide tours and travel packages to various places in South India along with travel services in Madurai. Tour Operators Madurai is mostly into tourist vehicle operations and has the most expansive fleet of vehicles. Tour Operators Madurai has grown along with the neighbourhood as the most trusted travel agent. Tour Operators Madurai is one of the popular names in India's tours and travels. We have great infrastructure to implement quick and reliable services. Our travel service is dedicated to help in planning to book exciting trips and tours. Tour Operators Madurai is growing fast & prominently preferred travel provider in south Indian areas, only because of the quality & punctuality service which we are giving to our customers. Tour Operators Madurai has competitive rates compared to other travels with customer focus as the vision and better services comparing to other travels. We are also specialist in operating pilgrimage tours. Madurai Tour Operators is one of the best authorized travel agency in Tamilnadu, India. Our services including cheap travel services, pick up and drop off services anywhere within the city and airport arrivals and departures, and also tourism and travel packages. Madurai Tour Operators offer vehicles include Toyoto, Tata Sumo, Indica, Indigo, Innova, Tempo Traveler, Mazda Seater, 407 Van, Tavera, Swift Dzire, etc. Madurai Tour Operators available for 24 hours daily to Provide Services in and around Madurai, Out of Madurai and also cover most of the places in South India. We have experienced drivers who can make your trip a pleasant place to be. All our customers were given valuable packages and we can make creative packages for your tour plan. We serve Madurai Tour Operators are a reputed vehicle rental service provider in and around Madurai. Best Tour Operators in Madurai who has a wide range of experience in Tours and Travel service provider. Tour operators from madurai are reputed car rental provider in Tamilnadu, India. Best Tour Operators in Madurai offers all types of travel related services under one roof that are known for our excellent and efficient travel services provider in South India. We have great infrastructure to implement quick and reliable services. Best Tour Operators in Madurai is dedicated to help in planning to book exciting trips and tours. We are devoted to provide great standards of services to our customers at a reasonable price while gaining a reasonable profit. Our greatest strength is our committed staff to provide high end service to our valued customers, to whom we dedicate our success. Local Tour Operators in Madurai based on travel agent & tour operator, Amitesh Travels. Local Tour Operators in Madurai offers unparalleled tour packages which suits the budget traveler as well as the most luxurious holiday seeker. Our domestic tour packages include Ooty tour package, Kodaikanal tour package, Rameswaram tour package, Trichy tour package, Palani tour package, Kanyakumari tour package, Munnar tour package and other tours to different places. 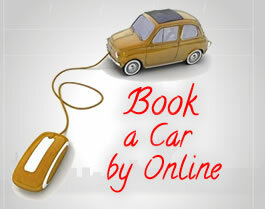 Amitesh car rental in Madurai provides the best car hire rental services in Madurai. We offer personalized and professional Tour Packaging in Madurai are surrounding areas. 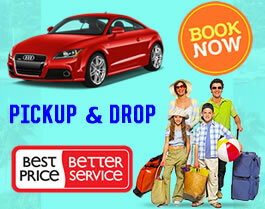 We provide best travel services & car rental deals to customer come to visit in & around Madurai. Successfully satisfying our customers for more than a decade by offering services at affordable price. Rental car service available 24 hours. Tour Operators in Madurai is a specialised travel agency located in Madurai. We arrange sight seeing package tours covering in and around South India. Tour Operators in Madurai is an authorised travel agency for online hotel booking in South India. We offer budget hotel booking in madurai. A Tourist Guide helps in planing, organising & conducting various kinds of tours & trips for individuals and groups. Tour Operators in Madurai offering city packages in Madurai. 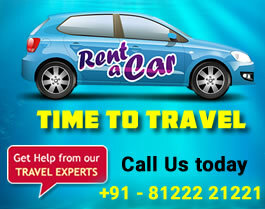 Amitesh Tour Operators in India's largest car rental service in Madurai. We offer tour package from Madurai are surrounding areas. Tour Operators in Madurai is India’s authorized travel, car rental service provider in South India. We specialized in providing customized travel services to tourists visiting the South Indian areas. We organize tour packages are Madurai, Kodaikanal, Ooty, Rameswaram, Kanyakumari, Kerala, Thekkady, Munnar, Trichy, Tanjore, Kovalam, Palani, etc. Tour Operators in Madurai team of tour executives are well versed in planning and executing Holiday packages in India. Read more..